Merry Christmas, you wonderful old website!! There is no TV with enough pixels to rival the experience of watching a great movie in an actual movie theater. Sorry Samsung, it’s true. I first figured this out when Fenzel and I went to see Superman at a midnight showing years ago. I grew up with that movie, and knew it backwards and forwards… but I’d only ever seen it on VHS. Sitting in a real movie theater, hearing the John Williams score, and seeing that “S” logo ten feet tall completely floored me. Anyway, last week, I got the chance to see It’s a Wonderful Life projected from a real print. It was scratched as hell and barely audible at times, and I still cried like a baby for at least a third of it. And I also managed to notice a few things to Overthink™. CLARENCE: I mean, uh, might I perhaps win my wings? I’ve been waiting for over two hundred years now, sir, and people are beginning to talk. HEAD ANGEL: What’s that book you’ve got there? 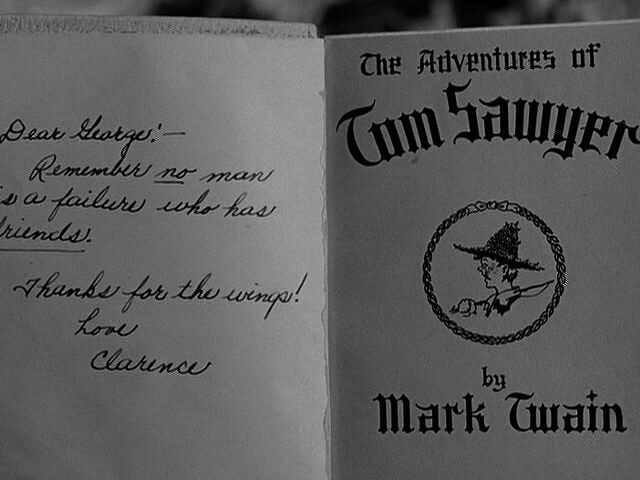 CLARENCE: Oh, The Adventures of Tom Sawyer. 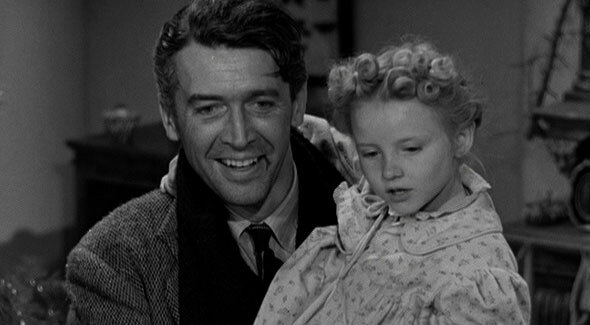 HEAD ANGEL: Clarence, you do a good job with George Bailey and you’ll get your wings. Am I the only one who thinks that seems kind of shoehorned in there? Oh, Tom Sawyer‘s drying out, too. You should read the new book Mark Twain’s writing now. And then Sawyer gets a starring role at the very end, when George finds Clarence’s copy on top of his massive pile of money. Anyway, it’s clear the filmmakers want us to notice Tom Sawyer. Why? I mulled over it for a while, and I’m pretty sure it’s because of three chapters about halfway into the novel. Tom, Huck, and the significantly less popular Joe Harper run away from home to live on a nearby island. After a couple days, they see the townspeople dredging the river, and realize everyone must think they’re dead. Tom sneaks back home that night, and listens to his Aunt Polly crying her eyes out over him. Later, the three boys hide out in the church and hear their own eulogy. 2. When George sees what life would be like without him, we understand the reason behind a lot of what’s different. His old employer at the pharmacy went to jail for poisoning a kid, because George wasn’t around to prevent it. His little brother died young, because George wasn’t there to pull him out of the freezing water. But here’s something curious – it’s snowing lightly in the real Bedford Falls. But in bizarro Bedford Falls, it’s not. You can see this during George’s climactic prayer, when the snow resumes abruptly the instant he gets his wish. George’s absence somehow changed the weather. And actually, I don’t find this far-fetched. George not being born alters the lives of thousands of people, and those changes effect thousands more. And given how complex and finicky the weather is, a snowstorm being altered seems entirely plausible. Why not right here? You remember that old tool and machinery works? Well, you tell your father he can get that for a song. And all the labor he wants, too. Half the town was thrown out of work when they closed down. So basically, George single-handedly gets a factory built in town… which proceeds to spew pollution for the next ten years. In bizarro Bedford Falls, the factory doesn’t get built. The residents presumably continue to live in extreme poverty, but the air is cleaner. See what I’m getting at here? A few thousands tons of CFC’s released into the atmosphere could definitely screw with a few clouds, right? Someone put this man in charge of the Fed. POTTER: Ideals without common sense can ruin this town. Now, you take this loan here to Ernie Bishop… you know, that fellow that sits around all day on his brains in his taxi, you know. I happen to know the bank turned down this loan, but he comes here and we’re building him a house worth five thousand dollars. Why? GEORGE: Well, I handled that, Mr. Potter. You have all the papers there. His salary, insurance. I can personally vouch for his character. POTTER: You see, if you shoot pool with some employee here, you can come and borrow money. What does that get us? A discontented, lazy rabble instead of a thrifty working class. And all because a few starry-eyed dreamers like Peter Bailey stir them up and fill their heads with a lot of impossible ideas. So basically, George is offering loans to people who are moderately risky, because he wants them to have homes. Add President Clinton to the long list of people who deserve a share of the blame for the housing bubble and bust. A recently re-exposed document shows that his administration went to ridiculous lengths to increase the national homeownership rate. It promoted paper-thin downpayments and pushed for ways to get lenders to give mortgage loans to first-time buyers with shaky financing and incomes. It’s clear now that the erosion of lending standards pushed prices up by increasing demand, and later led to waves of defaults by people who never should have bought a home in the first place. Look, I don’t want to get into a political firefight on this site. 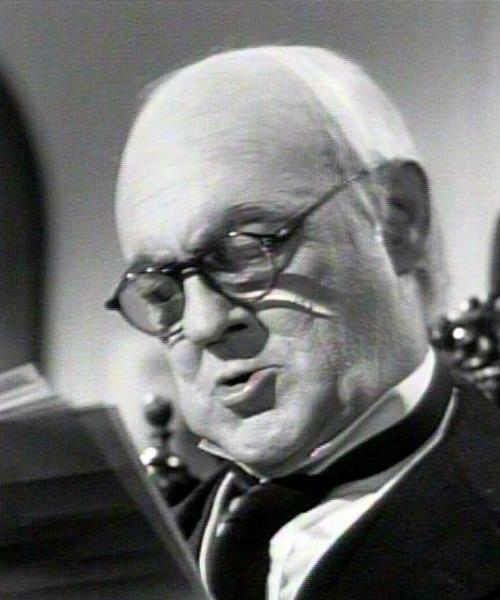 But remember that Potter doesn’t refuse loans because he likes to make people suffer (I think). He refuses loans because those people are bad credit risks. Anyway, great great movie. My heart is warmed, and I’m Jewish. Well, let me nitpick your nitpick: If anything, the housing bubble was enabled by the _opposite_ of George’s behavior, that is to say, people holding securitized mortgages issued to people they didn’t know personally. And in fact there are some small and medium-sized banks that have weathered the storm fairly well, because they stayed focused on community lending and had much lower default rates as a result. 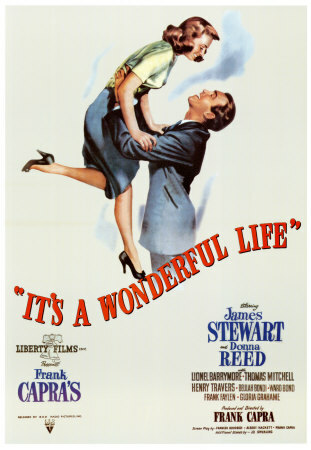 So, maybe, an updated “It’s a Wonderful Life” would actually show the world without George, and it’d be a world in which the financial system was melting down because of people like Potter making billions of dollars of bad loans and passing them along, not caring where they’d blow up. And George would come back, and the economy would be just fine … Oh, Clarence, where are you now? No fight. Just a question. Which of the two towns had a more thriving economy and which would you prefer to live in? Bedford Falls? Potterville? So, Clarence functions both as George’s Terminator and his Kyle Reese. Clarence first wipes out George’s existence, then restores it. Why no one realized this fact until this year is beyond me. But anyway, in this article, they mention that Pottersville would have a much greater chance of surviving economically than Bedford Falls. The article gives the example of modern upstate New York. The old manufacturing towns have gone to hell while the immoral party towns like Saratoga are doing great. And nice catch on the Tom Sawyer thing. I never noticed that before, either. Very cool. Quite an enjoyable article. I plan to watch that movie at some point during the holidays, and I’ll give these issues some thought when I do. George Bailey did the two most important things a lender needs to do, which the companies that issued the bad mortgages did not do. It’s not just about being out on the “risk curve” – part of the lesson from this crisis is that the risk curve is not uniform, that you can’t necessarily transfer one party’s risk calculations to another party when you sell a security, because the disconnect from the original information adds additional risk in the form of the quality and verifiability of data. 1. KYC – Know Your Customer. Knowing the people you lend money to is not just about networking and opportunity – it’s mostly about anticipating potential problems and avoiding fraud. Good KYC lowers all sorts of practical risks for a bank, to the point that it is now, much much more than it was back in the day, required standard operating procedure for banks. Your bank teller or lending agent is under orders to know who you are and what your normal behavior is like, so that they can keep an eye out for anything unexpected or suspicious. Not everybody is equally good at doing this these days, and not everybody prioritizes it to the same degree, but it’s very important – much more important than the credit ratings of loans. 2. Income verification. George Bailey verifies Ernie Bishop’s income and knows he will be able to keep up his obligation to this loan. Failing to do this reliably across the board was probably the main reason the subprime crisis happened. Lenders did not verify that a person’s current and expected income would be enough to make payments on loans that reset to higher levels after early teaser rates, because by that time the salesman would have her commission, and the loan issuer would have packaged the loan in a security and sent it. George has done his due diligence and has determined Ernie is creditworthy. Potter’s company is eager to take the construction business – Bedford falls is pretty underdeveloped and a building and loan in the old mold like Bailey Building and Loan is filling an important role when banks don’t want to get involved with this kind of borrower – partly because their KYC is unsophisticated and they rely on platitudes and generalisms to determine the people they should lend money to (as in, “Not cab drivers, because they must be lazy”). I think George has been a model borrower here – he even goes to bat on his customer’s behalf to make sure the loan money is being used the way it’s supposed to be used. There were a lot of things that went wrong in lending that drove the subprime crisis, but it was a bit more specific than just being too high-beta, than just being too easy with credit. There are a lot of things a banker can do to make loans to unlikely clients work, and George seems to have gone above and beyond to do the most important ones very well. @Fenzel – Great explanation! I’m glad to know that George isn’t the bad guy here, economically speaking. I did see that New York Times article, by the way. I found it uncomfortably close to OverthinkingIt’s modus operandi. The guy even checked with a D.A. to see if Bailey would still be arrested for losing the money, even if he repaid it via donations. Hey New York Times, back off the quirky nitpicking. The New York Times has been walking on our turf ever since A.O. Scott post-reviewed _First Blood_. Scott probably saw the stuff we wrote about him and decided he needed to fight us on our terms rather than his own, and the Times followed. But I see this as a challenge more than anything else. We need to up the level of our game, because there are a lot of people out there who are interested in this sort of discourse. They review a bunch of different video Yule Logs. Call me a terrible misanthrope, but I really think the people that were given those NINJA loans were, culpable, too, even if not quite as much as the lenders: if you have no job, no income, and no assets, how can you expect yourself to pay off a loan of any kind? I’m usually the champion for working class Americans on ANY forum I participate on, but seriously… that’s a stretch for me. I realize the predatory nature of them, but a little honesty is necessary on the part of the victims, too. And NYC and Income Verification would do nothing to help these NINJA victims, either. Colon plus dash isn’t tacky, it’s antique. It’s all over Trollope, for example. It might be fussy to use outmoded punctuation, but I wouldn’t describe it as tacky in the way that dotting your “i”s with smiley faces is. Also, Clarence is hundreds of years old so I think we can give him a pass. Perhaps Clarence got screwed by a clerical error. Scene: 1923. A spare bedroom in the Munich home of Ernst Hanfstaengl. A lean young man with a little mustache sits on a bed, with a 6mm automatic pistol. His hand shakes as he raises it toward his mouth. An angel appears, imploring him not to kill himself. After half an hour’s chat, the young man smiles and says, “I suppose you are right. It’s not really hopeless, is it? I am not so much of a weakling.” He puts the pistol back in the nightstand as the angel vanishes, saying, “I know you will go on to lead a virtuous life, Willy Bungerschmidt!”. The young man goes to a pitcher and washes his face. That was odd, he muses. Who the hell is Willy Bungerschmidt? My name is Adolf Hitler. I found this link because I was curious about the Tom Sawyer references. I think you’re exactly right. Thanks! I recognize how much writing, deleting, rewriting, thought, and time and effort are spent on the well-thought input all of you benevolent volunteers offer to those of us curious enough to stop down to consume your produce. If ever you become so frustrated you abandon a post because you find yourself wondering why you bother, please know people like me gain insight of what other smarter, (and often experts) out there have to say about worthy topics. We are reading and appreciating though you most likely will never know the extent knowledge your altruism imparts to the world. Today, I feel a little more enriched for reading the posts so kindly left for “who knows who?” to read-for I’m one of your beneficiaries. Because I have written this commentary as speaking for more than myself, I’m compelled to include this parting bit of assurance-do not concern yourself thinking I believe everything on the internet (or anywhere else). I am fortunate enough to at least have copious amounts of common sense (of which I use liberally, often, and generously when it involves the “interweb”-as my sage, funny Aunt Sadie called it).